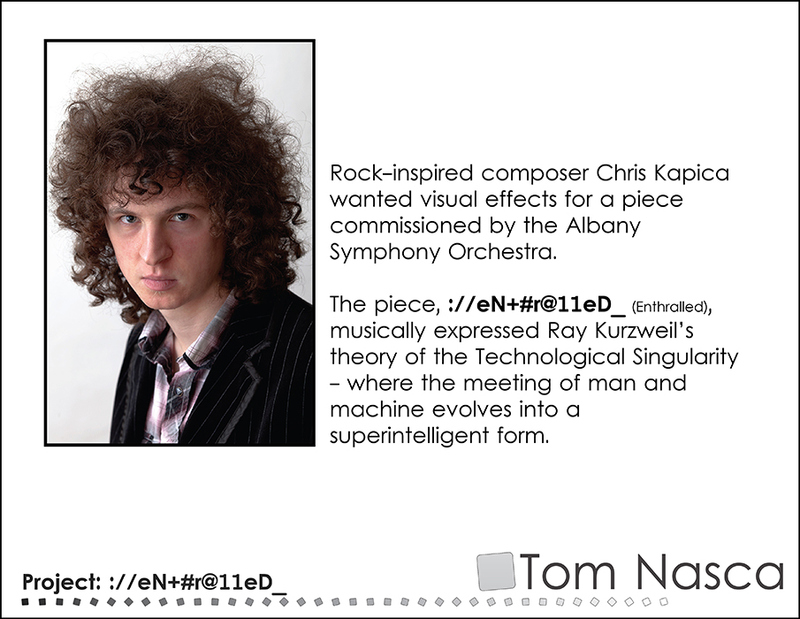 Composer Chris Kapica approached me about the feasibility of a performance project he was composing. 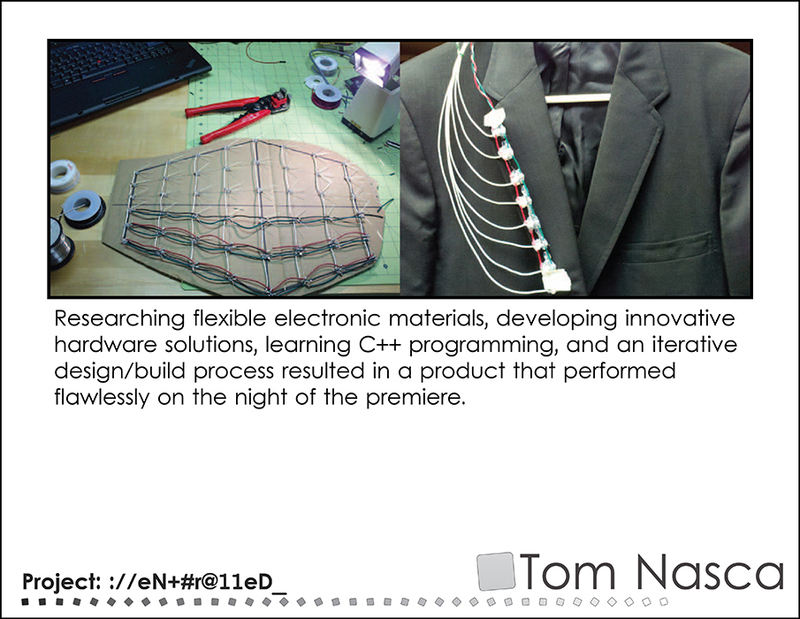 He wanted a costume for his dancer that embodied technology, as he was writing a piece about the Singularity Theory that Ray Kurzweil wrote. 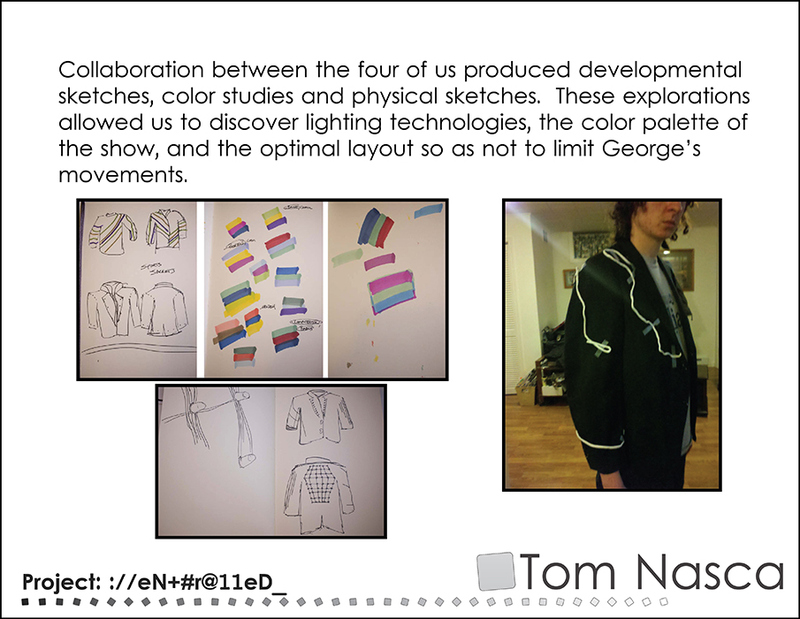 I took on the project, developing a light suit that uses LED light and electroluminescent wire, Arduinos, and hobby R/C equipment. 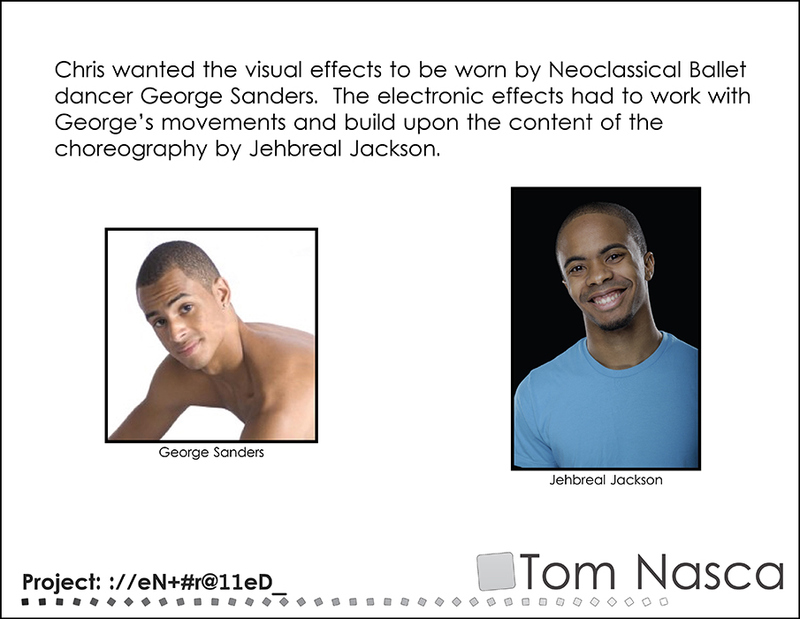 The suit had to work with the choreography by Jehbreal Jackson and the dancing by George Sanders, and had to compliment the music. 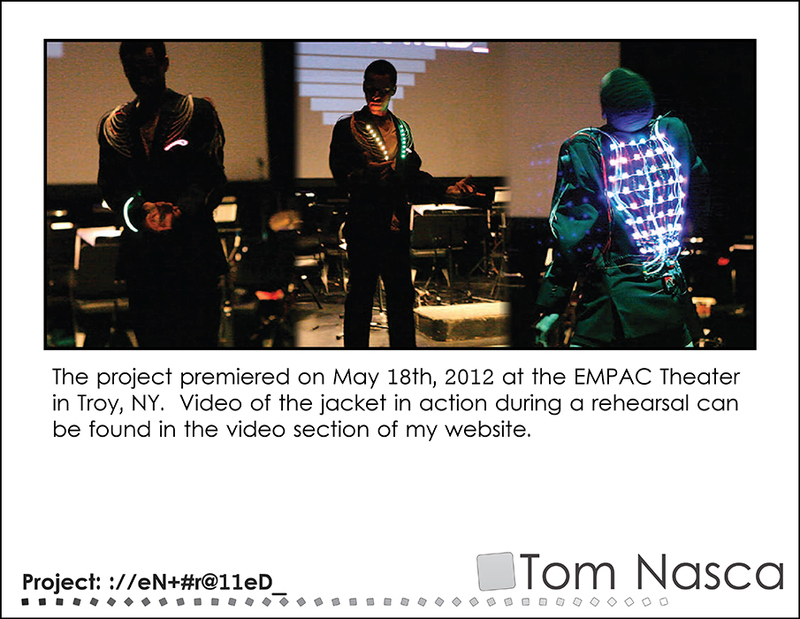 The piece was premiered in May 2012 with overwhelmingly positive response to all components of the performance. The music was performed by the Albany Symphony Orchestra's 'Dogs of Desire'.